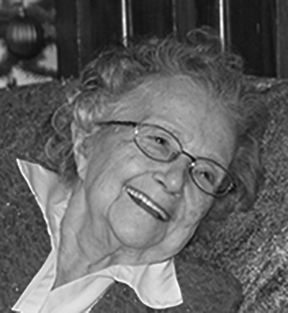 Lois L. McKissick, 93, 1649 Long Run Road, Mill Hall, PA died January 24, 2019 at Mt. Nittany Medical Center, State College, PA. Born July 28, 1925 in Howard, PA she was the daughter of the late Ira E. and Mahelda Holt Packer. On July 5, 1947 she married Warren E. Miller who died in 1978. On May 14, 1983 she married William McKissick who preceded her in death. Lois graduated from the Mill Hall High School in 1943 and attended Allentown Bible College. She was a member of the Hillview Wesleyan Church, enjoyed Bible study and was an avid football fan. Lois had worked at Stein Furniture Store and the Wolfe Furniture Store, both in Lock Haven, PA.
3 Daughters: Joyce M. (Jack) Igoe, State College, PA; Ellen J. (Bruce) Anderson, Trout Run, PA and Elsie M. Miller, Rote, PA.
Packer, Lock Haven, PA and Grace (Leon) Bidwell , New York. 2 Great Grandchildren: Nolan Reynolds and Piper Anderson Bua.